I've had this idea in my head for awhile; a reflective flower on water or a mirror. One day, I sketched it out to see how it would work and if I could translate it to a card. 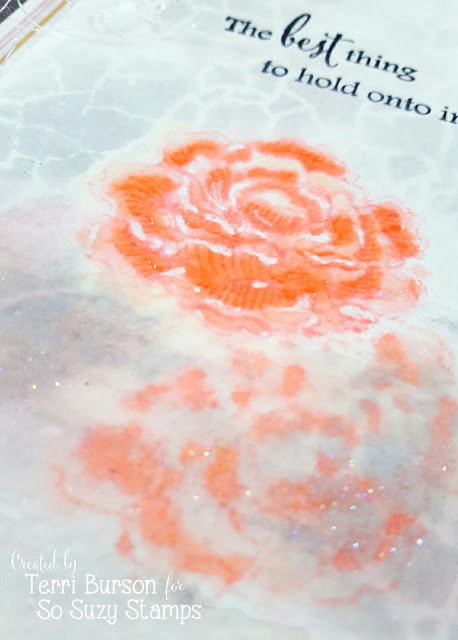 After a couple attempts, here's my realized visual, that features the Rose Bloom, So Suzy Ink Bites, and the Mirror Image Stamp. It's not as perfect as the vision in my head, but I do tend to be my own worst critic. 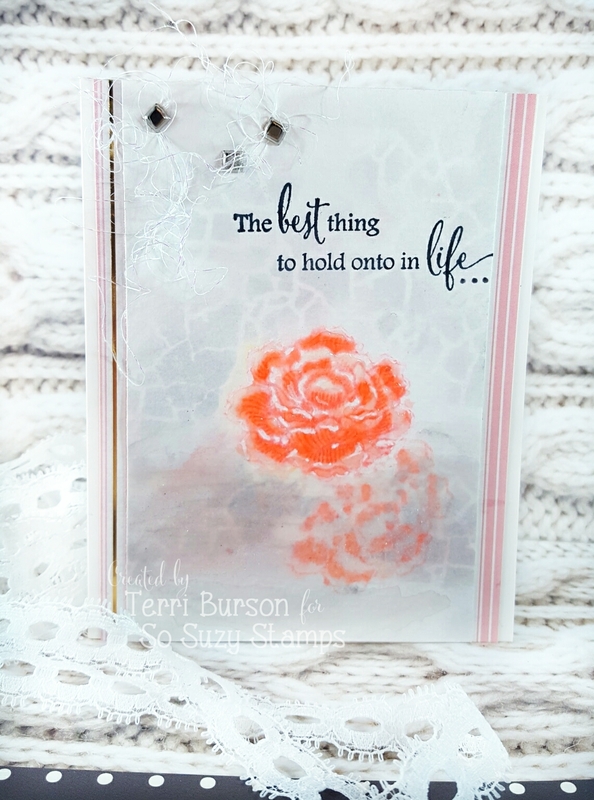 The design team technique and theme challenge this month is Spring Flowers and Stenciling and I've incorporated both for this card. If you'd like more details on how I created the reflective image, stop by my blog for the tutorial, here. The February Mirror Image Event was a huge success and much of Suzy's online stock will be available for re-order next week. Some items will need to be pre-ordered and will be available in April. Thanks so much for stopping by! 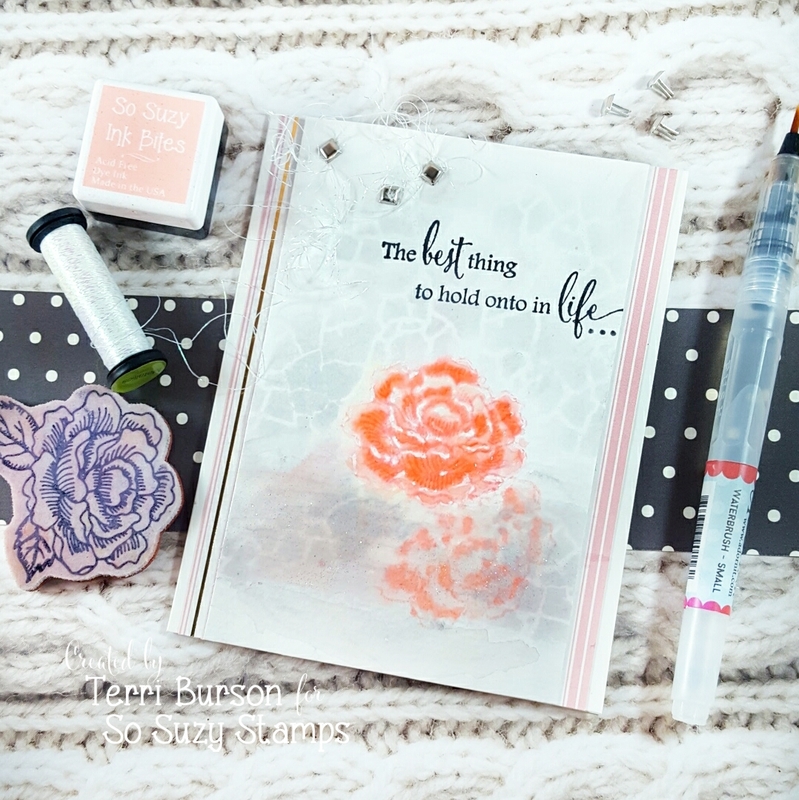 Purchase the Mirror Image Stamp, here. That is gorgeous! Looks like a glass table.